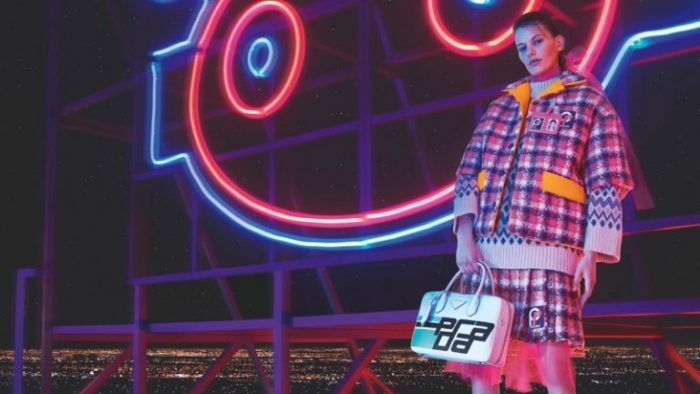 Prada turns on the lights for its fall-winter 2018 campaign. 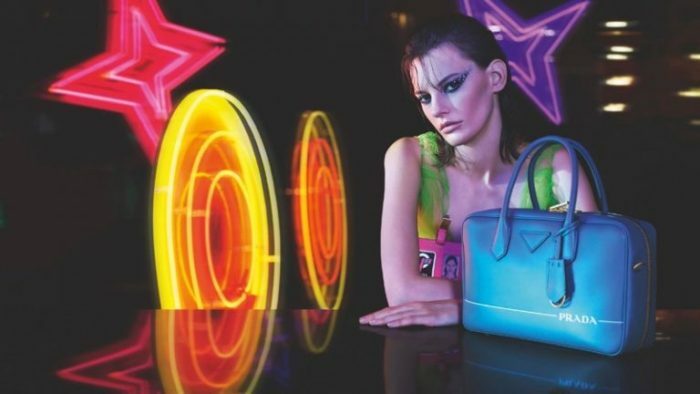 American model Amanda Murphy poses against the backdrop of Las Vegas neon signs in images captured by Willy Vanderperre. Stylist Olivier Rizzo spotlights the new season’s embellished dresses, chunky knitwear and sleek handbags. For beauty, Amanda wears smokey eyeshadow and wet-looking tresses.